A student who survived the Texas school shooting on Friday has spoken out about the accused gunman, saying that he was 'emotionally bullied' by his classmates and coaches. 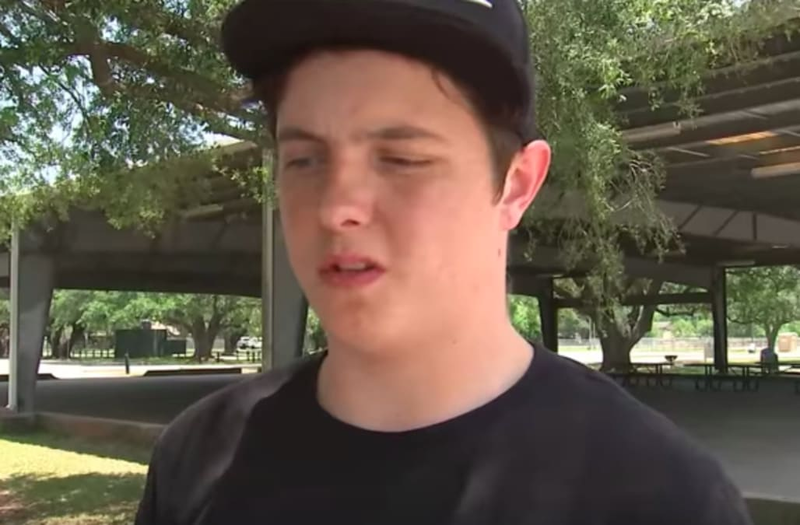 Dustin Severin, an 11th-grade student at Santa Fe High School, told KRIV that the suspected shooter, 17-year-old Dimitrios Pagourtiz, was constantly teased at school, but that he believed it never escalated into anything physical. "I know he's picked on by coaches and other students. He didn't really talk to anyone," he told the station. "My friends from the football team told me that coaches said he smelled, like, right in front of his face. And other kids would look at him and laugh at him ... nothing like physical but they still emotionally bullied him." "I never thought he would just snap and shoot up the school," Severin added. "He didn't seem like he was a hateful person." In the hours following the mass shooting, which left at least 10 students and faculty members dead, alarming details have come to light on the suspected shooter. A Facebook page believed to have belonged to Pagourtiz included a series of disturbing posts, including a photo shared on April 30 of a black T-shirt with the phrase "Born to Kill" printed on it. Another post on his page depicted a trench coat adorned with an Iron Cross pin, a German military decoration favored by Adolph Hitler. Pagourtiz's profile was deleted from the social media site following the shooting.